Businesses can now deploy Google's cloud services on both GCP and on-premise. To help businesses unify their cloud services and on-premise workloads, Google unveiled its new Cloud Services Platform during the first day of its Google Next cloud conference in San Francisco. The new platform houses all of a business' IT resources, including both on-premise and Google Cloud Platform (GCP) resources, in one place with the aim of overcoming the tradeoffs of managing resources in the cloud versus on premise. 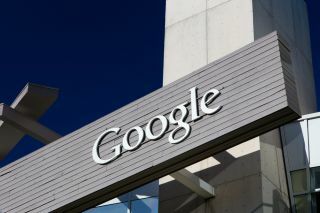 Google's Cloud Services Platform will support the company's managed Kubernetes environment, Google Kubernetes Engine (GKE) on premise and this will be the first time a cloud provider has offered fully-managed Kubernetes on premise. GKE On-Prem will provide customers with multi-cluster management for GCP and on-premise, centralised monitoring, professional services and support as well as hybrid identity and access management. Kubernetes administrators will also have access to GKE Policy Management to manage all of their security policies across clusters. Google is also launching Managed Itsio to help businesses manage and secure their microservices. The company helped launch the open source service which provides developers with a vendor-neutral way to manage networks of different microservices on cloud platforms. The new managed service, now in alpha, will enable customers to manage services from within a GKE cluster. Google's decision to invest in Kubernetes is paying off and with the announcement of Google Cloud Service Platform, the search giant is building a bridge between organisation's existing data centres and its own cloud platform to meet the needs of IT organisations both today and in the future.